The West African country, home to just under five million people, is the continent’s oldest republic and the first African country to elect a female head of state. The West African Ebola outbreak of 2014–2015 took a severe toll on the Liberian health system, which was already fragile and suffering from inadequate medical infrastructures resulting from two successive civil wars. In 2015, MSF opened the Bardnesville Junction Hospital (BJH) in Monrovia, the Liberian capital and the epicentre of the Ebola outbreak, to support Liberia’s health services during the Ebola crisis. During the Ebola outbtreak, MSF admitted 10,310 patients to its Ebola management centres of which 5,201 were confirmed Ebola cases, representing one-third of all WHO-confirmed cases. 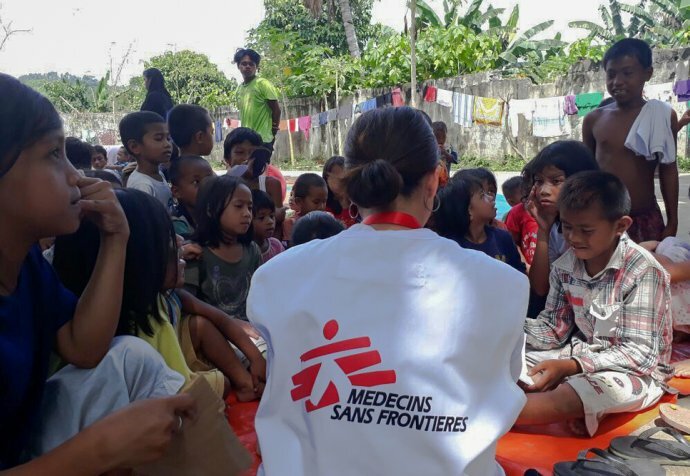 MSF teams were involved in providing medical care, outreach activities, psychosocial support, health promotion and contact tracing. MSF established an Ebola management centre (EMC), trained local health staff, and ensured that alert systems were in place to refer suspected cases. After the Ebola outbreaks in West Africa, many who survived the infection are now suffering from “post-Ebola syndrome", characterised by severe joint and body pain, headaches, traumatic flashbacks, vision problems, hair loss, impaired hearing, extreme fatigue, insomnia, memory loss, anxiety attacks and more. In West Africa, as in Liberia, the use and abuse of paracetamol increased significantly after Ebola virus disease as people's fear of illness led them to self-medication. Paracetamol is present in most medicines cabinets in the home, and is sold under different names, which is why there is such a risk of overdose when taken simultaneously with multiple medications that contain it. Paracetamol overdose results in hepatic necrosis (necrosis of the liver), and it can lead to liver failure and encephalopathy, hemorrhage, hypoglycemia and cerebral edema in severe cases. It can be fatal if the liver transplant is not feasible. Our community-based program is aimed at building the skills of local clinical and community outreach workers, while educating patients, families and communities about available medical care, to encourage people to seek treatment with a professional, and to remove the stigma associated with mental health conditions. Although health services are being progressively restored in Liberia, important gaps persist in areas such as specialised paediatric care and mental health services. Mental health clinicians offer guidance to Ministry of Health personnel at the health centres, and psychosocial workers train volunteers. MSF also provides psychiatric and anti-seizure medication. Our teaching hospital – validated by the Liberia Board of Nursery and Midwifery as a site for clinical skills training – provides specialised and emergency paediatric care, neonatology services, and management of complicated severe malnutrition. Our teams support mental health and epilepsy care at four primary healthcare centres in and around Monrovia.